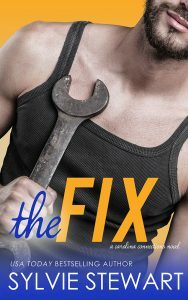 USA Today bestselling author Sylvie Stewart is addicted to Romantic Comedy and Contemporary Romance, and she’s not looking for a cure. Her publishing career began when her twins started elementary school and she started talking to herself way too much. Sylvie loves sharing her stories with readers and hopefully making them laugh and swoon a bit along the way. If she’s not in her comfy green writing chair, she’s probably camping or kayaking with the hubby and kids or having a glass of wine while binge-watching Hulu. Or she’s been kidnapped—so what are you doing just sitting there?! !